Mayurasana is also known as 'Peacock Pose'. Mayurasana is the combination of 2 Sanskrit words, 'Mayura' + 'Asana'. Where, Mayura means 'Peacock', and Asana means 'Pose'. Mayurasana is the main asana's in Hatha Yoga Pradipika. How to do Peacock Pose? Sit in Vajrasana / Thunderbolt Pose on Yoga Mat. Place your hands close to your knees on the on Yoga Mat, fingers pointing towards the feet. The distance between both palms must not be more than 10 cm. Take couple of deep breath and calm your mind. While exhaling bow down or bend, so your head touch to the floor. Then make sure your elbows must be touched to abdomen, like the image below. Now slowly straight and stretch the legs one by one. Now lift your both legs by shifting body weight on palms and elbows, like image below. 30 seconds to 1 minute are enough for everyone. Then slowly bring your lifted legs back on the floor. Release the pose and again sit in Vajrasana as starting position. Fingers must be pointing towards the feet in Mayurasana. The distance between palms on the floor or mat must not be more than 10 cm. Your elbows must be touched and rest on abdomen, before you lift your legs up. Mayurasana yoga pose helps to strengthen abdomen muscles, digestive system and reproductive system. This Yoga pose detoxifies your body by removing toxins out of it. This Yoga pose helps in preventing diabetes, piles and cholesterol. This Yoga pose energizes the pancreas, liver, spleen, kidneys, and intestines. 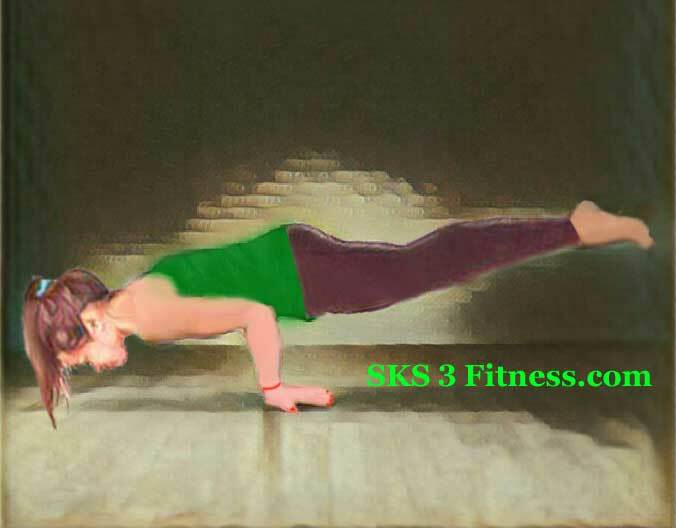 Mayurasana Yoga pose strengthen wrists, elbow, shoulder, spine, legs etc. This Yoga pose calms the mind and reduces stress and anxiety. Regular practice of Mayurasana yoga pose improves posture, balance and co-ordination of the body. Those who have pain in wrist, elbow or shoulder should avoid doing Peacock Yoga Pose or Mayurasana. If you have problem in intestine or any other stomach pain then avoid to do this yoga pose. Those who are Heart patient or High Blood Pressure should avoid doing this Yoga pose. Don't practice Mayurasana yoga pose in pregnancy.